‘Pacific Daydream’ is all carefree, expertly crafted pop, free of irony and all the better for it. Here, they’re not chasing perceived ‘relevance’ - simply put, Weezer are a band at play. That's the pleasure of Pacific Daydream: beneath its glossy surface, there's not only plenty of melody, but a perverse sense of humor that keeps the record from sounding too smooth and settled. 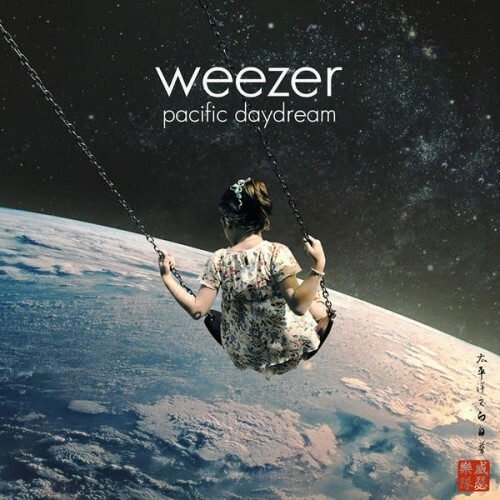 As a collective work, Pacific Daydream is ultimately a step below the resurgent greatness of the White Album, but it still soundly ranks in the upper tier of Weezer’s new-millennium output. This isn't some return to pop: Weezer never left that particular ballpark, and probably never will. It's a return to simplicity, to the straightforwardness of Green. Pacific Daydream is the band at their most self-assured, and for it to come after two well-received records feels like the sunshine-hit-machine direction is a choice, not a test. For all the ways in which the album's chill vibe reflects Cuomo's best qualities, it also highlights some of his shortcomings. Butch Walker's post-postmodern production sometimes overwhelms the songs, but its best moments ... gamely make up for the places where Pacific Daydream sounds like Weezer by Numbers. In reality, it offers more of the same: the usual soft rock. At the end of it, this record is a mixed bag. Fans of Weezer’s poppier side will find plenty to like. Whereas fans of Weezer’s more well regarded records will wish they chose another producer. With last year’s Weezer (White Album), they found themselves on the right side of the critics and were initially supposed to follow it up with the aptly titled Black Album. Instead, they’ve reappeared with an album influenced by the idea of a “beach at the end of the world”. Pacific Daydream, feels just like that; a day dream that, for some reason, doesn’t quite sit right. Much of the album’s electro-lite flavoring does provide some hummable moments, but as the cringingly tricked out "Mexican Fender" and stomping chants of "La Mancha Screwjob" suggest, they’re most likely to suffer a slow and gradual death at your local Forever 21. If you like hooky Weezer, about half of the albums should appeal to you, while the same applies if you’re partial to the more out-there Weezer. Pacific Daydream is the band’s first offering to fall far short for both camps—not because it’s one of the most extreme examples of Cuomo going for a radio-friendly sound (though it is that), but because he betrays the band’s mission in the process. While all of Pacific Daydream is typically well-crafted—with expert production, luxurious swaths of guitars and effects, and those still-tight harmonies—it highlights that, at this point in the band’s career, what Weezer could use most is some digression. Instead, what Pacific Daydream offers is little more than another reason to tour. With at least half of these songs, there is almost nothing to say, nothing to be baffled by, nothing to argue about, and for that sad, whimpering reason, Pacific Daydream can probably be called Weezer’s worst album. Weezer indulge in millennial pop cliches on their most sugar-sweet album yet, Pacific Daydream. Weezer have had their share of ups and downs over the years, but Pacific Daydream finds them at their most clunky yet. I remain unconvinced that the majority of Pacific Daydream isn’t just Rivers doing it for a joke. It’s so generic and pitch-perfectly idiotic for it not to be. LAST WEEZER REVIEW. My torture is ending with 2017’s pacific daydream. People dislike this one. Great. Let’s just get this over with. Weezer back at it again with their in-consistent albums. You either die a hero, or you live long enough to make Pacific Daydream. Purchasing Pacific Daydream from Amazon helps support Album of the Year. Or consider a donation?